When thinking of generals at Gettysburg, for many, images of Lee, Longstreet, Meade, and Sickles race to the forefront of their historical memory. Avid readers and historians may even call to mind lesser-known major and brigadier generals of the battle. Those that feel they have mastered the climactic action of July 1863 and have dug deeper into the other numerous layers of Gettysburg may even associate the military rank with Eisenhower and his time in Adams County. Few, however, link the hero of the War for Independence and our nation’s first President to Gettysburg, Pennsylvania. Over the next three years unpopularity transformed into radical and violent protest when federal officials tried collecting the tax, most notably in the frontier regions where whiskey’s popularity had melded into the currency system. By July 1794 and after an armed attack on a tax inspector, President George Washington simultaneously sent peace commissioners to western Pennsylvania while also calling upon the governors and militia of Virginia, New Jersey, Pennsylvania, and Maryland. With over 10,000 militiamen raised, the former general decided to lead them towards western Pennsylvania himself. At the end of September, one wing of the nationalized militia had reached Carlisle, Pennsylvania roughly thirty miles north of Gettysburg. 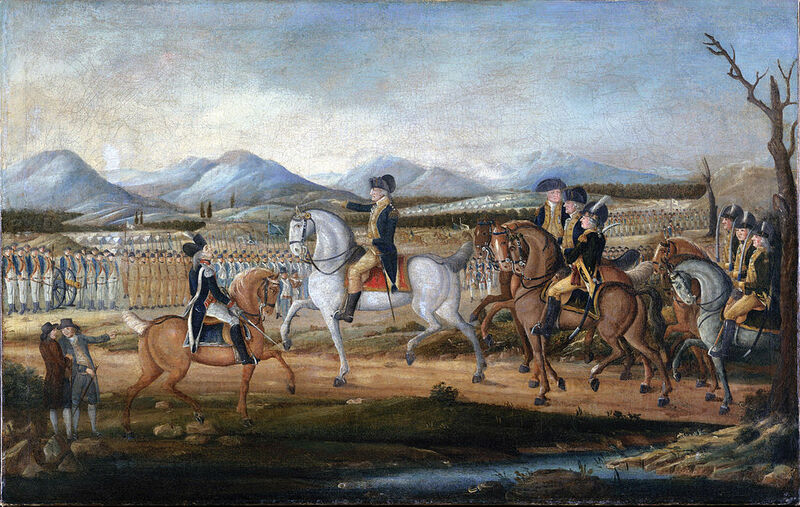 Nearly two weeks later, President Washington arrived to Carlisle on October 4, the only serving President to lead American military forces in the field. After a week in Carlisle, Washington left for Fort Cumberland, Maryland where the second wing of armed forces heading to western Pennsylvania were located. On October 20, 1794, convinced that no resistance would be met upon the arrival of the nationalized militia and content with the overall progress being made by both wings the President placed General “Light Horse Harry” Lee in overall command and proceeded back towards Philadelphia. President Washington, breaking his return trip to Philadelphia, stopped at Joshua Russell’s tavern on October 24, 1794. The tavern, located four miles north from the diamond (the town square of Gettysburg) received the President warmly as familial stories passed down over the generations recalled the visit. Attending to the President was Finely Hamilton, who ran the tavern at the time of Washington’s visit. Other family members further recalled that the President withdrew for the evening to one of the three upstairs chambers where he slept before departing the next morning. 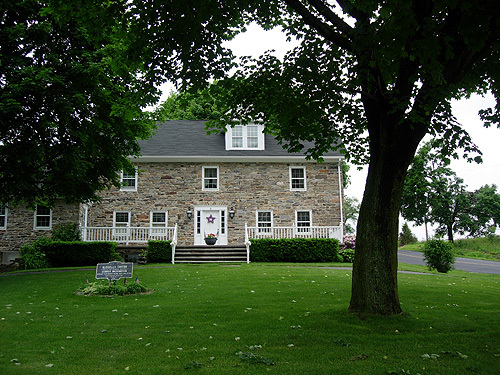 In 1938, the Daughters of the American Revolution placed a historic marker outside of the residence noting its importance during the Whiskey Rebellion to Washington’s travels. Later, a Pennsylvania Labor and Industry Heritage Marker was also placed near the original tavern further alerting visitors to the area of its importance. You can visit both the marker and tavern today, located at the intersection of Pennsylvania State Route 34 and Goldenvile Road. The tavern remains a private residence today so please be respectful when visiting. This entry was posted in Revolutionary War. Bookmark the permalink. President Washington also spent a night at the Morrow Tavern in Chambersburg, PA. Fascinating! I did not know Washington came through Gettysburg. Thanks for the interesting topic.